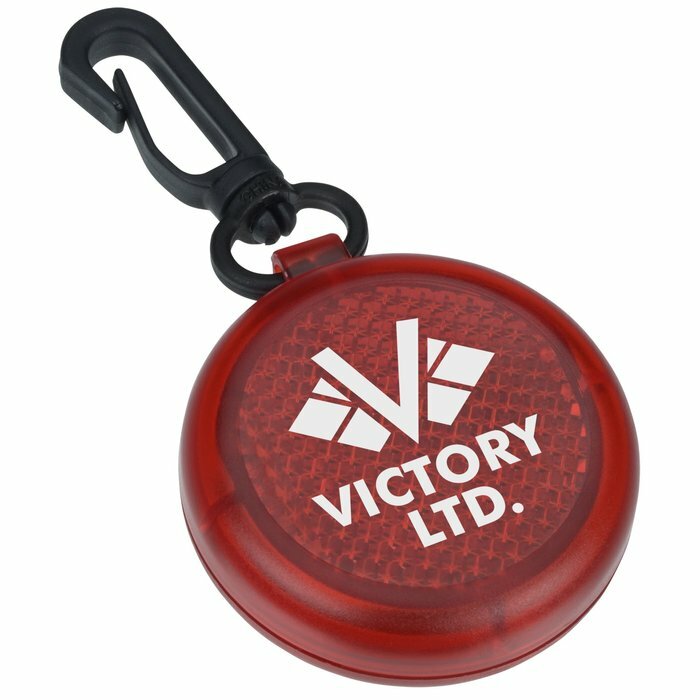 Eye-catching giveaways that will draw them to your brand! Increase late-night visibility with these logoed safety reflectors. Reflectors include a swivel-hook attachment that can connect to bags, belt loops and more. 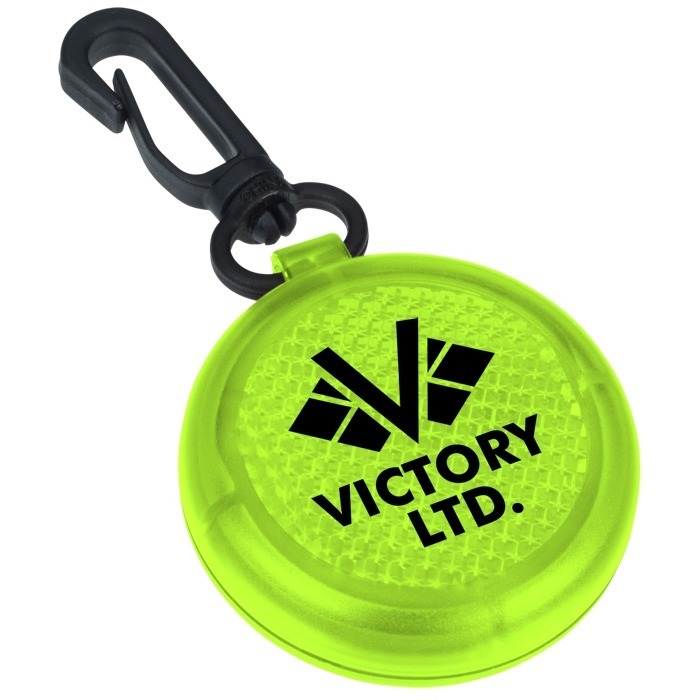 An integrated bottle opener makes these safety reflectors even more useful! Size: 88 x 44 x 14mm (3-1/2" x 1-3/4" x 9/16"). LIMITED TIME CLOSEOUT DEAL, AVAILABLE WHILE SUPPLIES LAST! Your price includes a one colour imprint on front reflector. Imprint size: 25 x 25 mm (1" x 1"). * Excludes art preparation time, applies only to orders of 5000 items or fewer.